Small Animal Talk: Hero the artist's muse. Hero, as imagined by artist Sammi Taylor for the Cat Protection Society's Diamond Anniversary. Being a veterinarian does not preclude one from worshipping one’s feline like every other cat owner on the planet. Thus I entered Hero in the Cat Protection Society’s fabulous feline brooch competition to mark their diamond (60th) anniversary. In order to enter I had to take a photo featuring Hero and a diamond in the same frame. This was easier said than done as Hero assumes anything placed in his vicinity is fair game for flicking across the room with his poor. 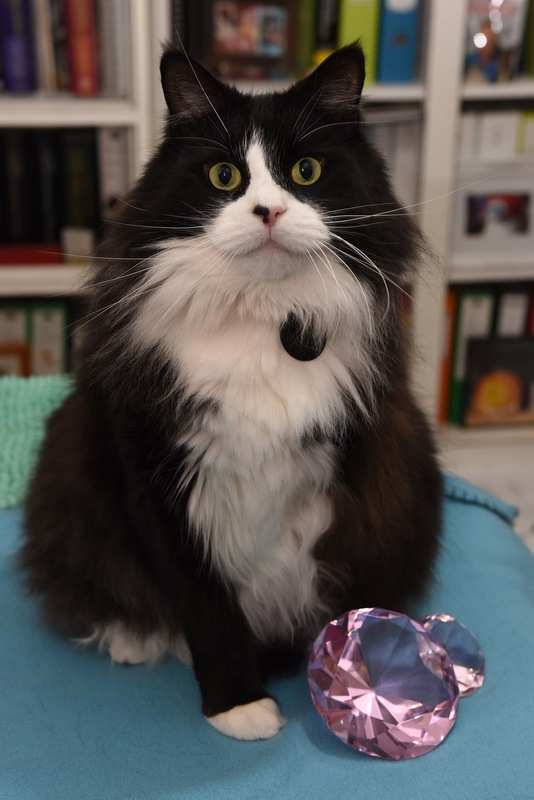 Finally, my friend Elaine leant me her (fake) diamond paperweights which elicited a bit of a sniff and that was all, and the photo was entered. Hero poses with fake diamonds. 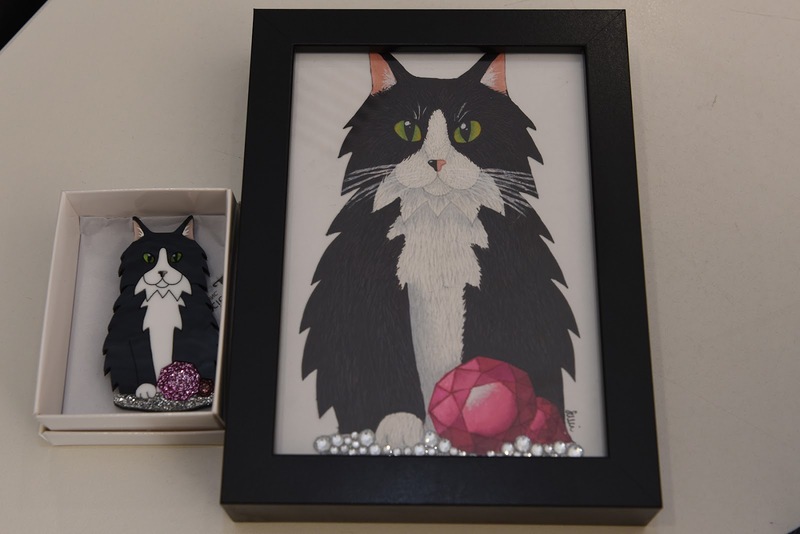 It was a tight competition, but Hero placed, which means that he is the subject of a limited edition artwork and brooch, designed and crafted by the very talented artist and Feline Services Attendant Sammi Taylor. Sammi has captured Hero’s beautiful features (complete with a bit of cray in his eyes) perfectly. And this is very special, because it was the Cat Protection Society who rescued Hero as a kitten in the first place. I'm forever grateful for their care. 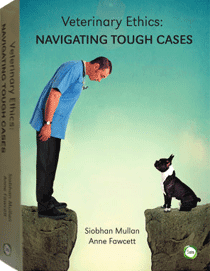 (If you're thinking about cohabiting with a cat, please consider a pre-loved cat. There are far too many cats needing homes in Australia - and around the world - and they bring so much joy). The brooches are available for purchase through the Cat Protection Society web store here OR you can purchase them over the counter at their Adoption Centre. I am told that the Hero brooch can be paired with casual, semi-casual, formal, semi-formal, uniforms, working gear, pyjamas or any other attire you care to wear.